1 image. Soldier gets Silver Star for saving dog under fire, 25 January 1953. 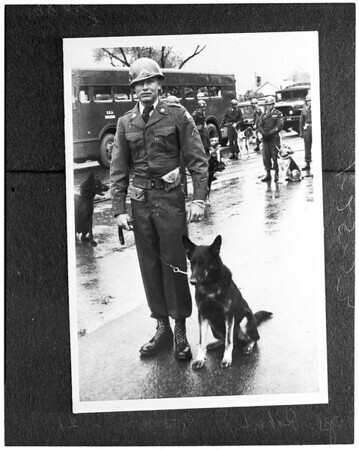 Corporal Robert D. Goodwin -- 21 years (1057 Daisy Avenue), copy picture of soldier with dog.